Captain’s Log: Thanks for Uhura, Dr. Martin Luther King, Jr.
There’s a meeting between the DS9 writers and the lightbulb goes off and someone says “I’ve got it! Let’s make him an intergalactic Martin Luther King, Jr.” Then, they call in Avery Brooks and he is full of ideas about how to bring nuance and depth to the character. The head writer interrupts him, Kanye-style, and hands him a VHS tape of the “I Have a Dream” speech, gives him the attaboy, and tells him to come back in a month. I feel like I should talk about MLK, Jr. in June or really any other time than his designated day. Why? Because his contributions to our society and the world deserve more attention and investigation. Most people know MLK, Jr. for his ubiquitous I Have a Dream speech in Washington. But, most people don’t know much about his inner life, his turmoil, and the very personal sacrifices he made during his journey. His writings and sermons from shortly before his death are definitely worth read. This year, the celebration of his life and contributions will understandably be overshadowed by the second inauguration of the first black (and possibly Vulcan) president of the United States. Well, I got into an argument about Avery Brooks’ acting in DS9. If you keep reading this blog, you’ll find out that I had to force myself to watch the series because his acting was so incongruous at the beginning. This surprisingly spirited discussion went off into left field when he brought up the idea that Sisko was a religious and civil rights leader in the same mold of MLK, Jr. and that was why he played the role as he did. Was Sisko really supposed to play an intergalactic MLK, Jr? Of course, I would never admit it to him, but I have given the idea a lot of thought since then. The idea that Brooks had to play anything other than the lead role in a Star Trek series just annoys me because it lacks creativity and it’s pretty condescending. is wont to give an ill-timed sermon. 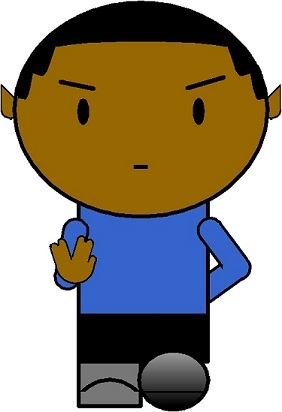 I know a lot of you think Captain Sisko and DS9 overall were the best in the Trek series. So, before I get flamed; yes, his character and the overall show got better once they let him grow the Riker beard in Season 3. Nearly everything before that was unwatchable. I don’t even remember my original point anymore. 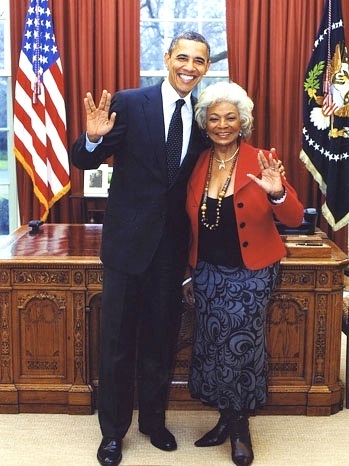 Let’s see; MLK, Jr. convinced Nichelle Nichols not to quit as Lt. Uhura on Star Trek because she was a positive figure for blacks, Lt. Uhura and Captain Kirk shared the first widely televised interracial kiss, and perhaps we can say there are still ripple effects today. Yeah, his speech pattern could get a bit annoying, I admit. I always assumed it was a Kirk emulation rather than political activist speech pattern, who knows…? Captain’s Log: Ready for Captain Worf? Captain’s Log: Star Trek Renegades, Ummm.